Eurofins BDI Laboratories, the world's leader in grapevine disease detection is staffed with Plant Pathologists having expertise in virus, fungi, and bacteria, vines are always tested using more than one detection method (when available) yielding the most reliable results. Raquel brings over 20 years of plant diagnostics and disease eradication experience with in-depth skills in virology, pathogen diagnostics, tissue culture, disease resistance screens, transgenic plant analyses, recombinant DNA methodology. As a manager of the Eurofins BDI Plant Health Services business unit in Gilroy, CA, Raquel will be expanding services, offering all-inclusive diagnostic testing services to agriculture, especially to the viticulture, fruit, vegetable and ornamental industry. Raquel was previously a Research Scientist at Monsanto Vegetable Seeds responsible for disease resistance test screenings for several crops such as tomato, pepper, beans, lettuce, spinach, carrots, cucumber, melon, watermelon. In addition, Raquel was responsible for establishing a Worldwide Center of Excellence for Viral Diagnostics using conventional, serological and molecular pathogens detection. Raquel is a native of Brazil, where she received a B.S. in Agronomy from the "Universidade Estadual Paulista, Julio de Mesquita Filho - Campus de Jaboticabal - UNESP". She received an M.S. in Plant Pathology from the University of California Davis. The title of her Master's degree was "Monitoring Grapevine Closterovirus Associate with Leafroll, Corky Bark, and Rupestris Stem Pitting Diseases using Serological and dsRNA Techniques". She also received her Ph.D from the University of California Davis. Her dissertation is entitled "Epidemiology of Tomato yellow leaf curl virus in the Dominican Republic and Genetic Analysis of Genes Involved in Virus Movement". Raquel is member of professional associations such as American Phytopathological Society and American Society of Enology and Viticulture. Raquel has published several articles and she has a patent credited to her name. Raquel is frequently invited to speak at growers and scientific meetings. For additional information, please e-mail me at RaquelSalati@eurofinsus.com. Eurofins BDI Laboratories, provides disease detection and eradication services specifically for grapevines. Our reliable and rapid plant health testing services enable grape growers, nursery managers, and wineries to obtain the highest yield possible while producing desired grape quality. Our testing services have been designed to go above and beyond existing state certifications because we know, as you do, that optimal plant health does not originate or end in a lab. We combine state-of-the-art testing with proven, traditional methods to ensure the most efficient and cost-effective testing, sampling, and in-field consultation services available for pre-planted grapevines and cuttings. Click here to learn about the Grapevine Red Blotch Disease. Leafroll close up view. HealthCheck Panel A detects all viruses associated with this disease. Leafroll Primary Spread. HealthCheck Panel A detects all viruses associated with this disease. Grapevine virus B is associated with Corky Bark Disease. GVB. can be transmitted and spread by mealybugs in the field. HealthCheck Panel A detects all viruses associated with rugose wood disease. Grapevine leafroll associated virus-symptoms include downward rolling and interveinal reddening or yellowing of leaves, depending on the color of the fruit of the grape variety. Vines infected with leafroll disease can be slightly smaller than healthy ones; grape clusters are generally smaller than normal. Reduced fruit size and yield, sugar content, and uneven/lack of maturation may be associated with virus infection. Many leafroll associated viruses can be transmitted and spread by mealybugs in the field. Grapevine fanleaf virus causes a serious and devastating disease. Sensitive cultivars show rapid decline, low quality of fruit and yield. Affected vines are smaller than healthy vines. The life span of the vineyard decreases considerably in sensitive varieties. Up to 80% yield loss can be expected in severe infections. Grapevine fanleaf virus is transmitted by the dagger nematode Xiphinema index. Note the difference between the top (diseased) and bottom l(healthy) foliar symptoms. HealthCheck Panel B detects all viruses associated with grapevine viral decline disease. Photo courtesy of K-S. Ling. With life expectancies of 80+ years, grapevines are a long-term business investment. To care for them properly, it is important to pay close attention to the organization of your grapevine mother blocks and certify that your planting material is free of any known or detectable pathogens. We offer seasonal vineyard surveys that combine state-of-the-art testing methods with on-site consulting from our leading expert pathologists. Working closely with you in the field, we discuss your specific testing needs, recommend sampling strategies to more accurately detect the presence of pathogens in spite of low concentration or erratic distribution in the vine, and provide field or nursery operation inspections to assess grapevine health. We also offer training sessions for personnel to collect samples for testing. It Is Time Again to Test Your Grapevines! Send Leaves and Petioles Early Fall and Canes During the Fall Season! It is time again to test the Health of your Grapevines!!! Early detection of diseases could be performed using leaves and petioles during the Fall. Collect one leaf per cordon per vine, total of two leaves per vine and send it to our laboratory in Gilroy, CA for diagnosis. For composite samples, please contact the laboratory. Target Enriched Multiplex - Polymerase Chain Reaction (TEM-PCR) detects in a single reaction 12 virus and one bacteria at a very affordable price. Multiple primers per target results in a highly reliable detection method in combination with the final hybridization step. This is the most robust and affordable detection method for grapevine disease diagnostics. Newly introduced by Eurofins - Bio Diagnostics in October of 2016, the Target Enriched Multiplex – Polymerace Chain Reaction, TEM- PCR, is the first multiple virus test of its kind. Testing for 12 different RNA viruses, 1 DNA virus, and 1 bacteria in one single reaction, this test provides incredible cost savings over previous options. Virus tested includes: GLRaV 1, GLRaV 2, GLRaV 2- Red Globe, GLRaV 3, GLRaV 4, GLRaV 4 - Ob strain, GLRaV 4 - Car strain, GLRaV 5, GLRaV 6, GLRaV 7, GLRaV 9, GFLV, GRBaV, and one bacteria, Xylella fastidiosa for only US$165.00. Great News: Our Testing Prices Are More Affordable Than Ever! FALL is coming! It is that time of the year to start planning your testing for plants in the vineyard/nursery. Eurofins Biodiagnostics offers complete testing for your grapevine diagnostic needs. HOW COME THE PRICE IS DOWN? We have greatly improved the efficiency of our tests, reducing the total price while maintaining the highest level of quality. We are able to pass these savings on to you. See the new Grapevine Diagnosis Price List. We will be very busy soon, so please let us know your needs for this coming Fall. This will assure that we have you at the top of our priority list. The 18th Meeting of the International Council for the Study of Virus and Virus Like Diseases of the Grapevine (ICVG) was held in Ankara, Turkey in September last year. The ICVG meeting is held once every three years to promote collaboration and interaction between pathologists who specialize in viruses, viroids, and phytoplasmas infecting grapevines. The meeting in Ankara was well attended with more than 109 scientific presentations from different grape growing areas across the world. The two field visits were of interest because Turkey is one of the main genetic and domestication centers of wild Eurasian grapevine (Vitis sylvestris). Furthermore, biodiversity of the cultivated form (Vitis vinifera) is found in this country. Our website (www.eurofinsus.com/grapevine-testing) is packed with information on important grapevine diseases. We are committed to support our clients with information on sampling type and timing to allow the most accurate and reliable results. Our staff is available to help determine sample size based on statistics, budgets, and project needs. In addition, education webinar recordings and articles are available to the whole grapevine industry. Stay tuned for more detailed information for the series planned to be delivered in English and Spanish for 2016. If you wish to be placed in our mailing list to receive invitation to the upcoming webinars and seasonal newsletters please contact Dr. Judit Monis (juditmonis@eurofinsus.com). The education seminar series on grapevine diseases for 2015 were completed on November 19th. The recordings of the webinar series are available via internet (webinars) and complement articles written throughout the year that are relevant to grape growers as well as winemakers. To wrap up the series, the final webinar was held on November 19th. The focus of the last presentation is an update on Grapevine Graft Transmissible Diseases: Management and Control. Grapevine disease-causing organisms may be present and established in the vineyard or spread from neighboring vineyards. The webinar provides information on symptoms of graft transmitted diseases and aims to help vineyard managers and growers manage, control disease, and prevent the spread of disease causing agents. We are planning more educational webinars for 2016 and would love to hear from you on topics of interest. Please visit with Judit at the North Coast Wine Industry Expo. The event will be held at the Santa Rosa Fairgrounds, Booth 147, on December 3erd. Otherwise please contact us with your feedback and interest. If you wish to be placed in our mailing list to receive links to the upcoming webinars and our informative newsletters please contact Dr. Judit Monis (juditmonis@eurofinsus.com). Eurofins STA Plant Health Services just launched the fall edition of our quarterly newsletter. As we expand our services, we aim to keep our clients informed with relevant ag-industry news. Our website is packed with information on important grapevine diseases. We are committed to support our clients with information on sampling type and timing to allow the most accurate and reliable results. Our staff is available to help determine sample size based on statistics, budgets, and project needs. In addition, we have developed education webinars and articles that are available to the whole grapevine industry. Stay tuned for more detailed information for the series planned for 2015. We are staffed with plant pathologists and technical personnel who are well versed in grapevine fungal, bacterial, and viral diseases. This year we have done presentations at the American Phytopathological Society (APS) and The International Council for the Study of Grapevine Virus Diseases (ICVG) meetings featuring our work on fungal and viral pathogens. Hence, the testing done in our laboratory is based on sound scientific knowledge on the biology of the different pathogens causing disease in grapevines. If you wish to be placed in our mailing list to receive invitation to the upcoming webinars and quarterly newsleters please contact Dr. Judit Monis (juditmonis@eurofinsus.com). Our lab has developed an exciting education seminar series for 2015 and hope you can join us. The program is available via internet (webinars) and complements articles written throughout the year that are relevant to grape growers as well as wine makers. To wrap up the series, the final webinar will be held on November 19th. The focus of the last presentation will be an update on Grapevine Graft Transmissible Diseases: Management and Control. Grapevine disease-causing organisms may be present and established in the vineyard or spread from neighboring vineyards. The webinar will provide information on symptoms of graft transmitted diseases and aims to help vineyard managers and growers manage, control disease, and prevent the spread of disease causing agents. The first of the series was be held on March 12th and focused on fungal and bacterial trunk pathogens. The second session was held on May 14th and focused on Grapevine Red Blotch Disease. The third session was held on August 20 and update the industry on Grapevine Registration and Certification (R&C) Program) and nursery clean planting stock. Stay tuned for more detailed information. If you wish to be placed in our mailing list to receive links to the upcoming webinars and our informative newsletters please contact Dr. Judit Monis (juditmonis@eurofinsus.com). Dr. Judit Monis, and staff will be at the Napa Valley Growers Rootstock Expo. The event will be held at the Napa Fairgrounds, Booth 332, in Napa, California on November 12th. Please come and talk to us about your vineyard disease concerns and clean planting stock projects. Our lab is staffed with plant pathologists well versed in grapevine fungal, bacterial, and viral diseases. This year we did presentations on our grapevine disease diagnostic research at the American Phytopathological Society (APS) and The International Council for the Study of Grapevine Virus Diseases (ICVG) meetings. Please contact Dr. Judit Monis at juditmonis@eurofinsus.com is you have questions. The USDA Farm Services Agency has included Grapevine red blotch associated virus (GRBaV) as an approved disease for financial relief when replacing infected vineyard blocks. The program requires testing a minimum of ten vines per block. We have developed methods to allow the detection of GRBaV year-round. However, this is the best time of the year to correlate symptoms with the presence of virus. When collecting samples from each vine please provide a shoot or cane cutting with leaves attached, keep track (mark it with the corresponding vine and row number) and label each vine sample separately. We are able to test composites of up to five vines (one cutting per vine). 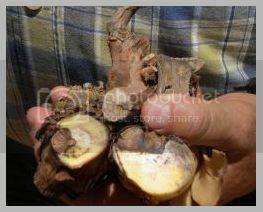 We are able to note the sample’s symptoms in the analytical report if leaves are provided with each cane portion. After your application is completed, possibly a USDA FAS agent will visit your vineyard to observe the symptoms in the particular block. Our philosophy is based on superior customer service focused on educating growers and nursery personnel to understand vineyard health issues. We are staffed with plant pathologists and technical personnel who are well versed in grapevine fungal, bacterial, and viral diseases. Please contact Dr. Judit Monis (juditmonis@eurofinsus.com) or call us at 1-888-762-5220 if you need us to guide you through the sampling for confirmation of GRBaV infection in your vineyard blocks. We are also able to help devise disease management programs for other bacterial, fungal, or viral infection. To wrap up the series, the final webinar will be held in November. The focus of the last presentation will be an update on Grapevine Graft Transmissible Diseases: Management and Control. Grapevine disease-causing organisms may be present and established in the vineyard or spread from neighboring vineyards. The webinar will provide information on symptoms of graft transmitted diseases and aims to help vineyard managers and growers manage, control disease, and prevent the spread of disease causing agents. Stay tuned for more detailed information. If you wish to be placed in our mailing list to receive links to the upcoming webinars please contact Dr. Judit Monis (juditmonis@eurofinsus.com). Submit samples for HealthCheck Panel A + RB and Pierce's DiseaseTesting! Rugose wood disease ( GVA, GVB, GVD, RSPaV, RSPaV-Sy,), and GFkV, GSyV-1. Samples may be collected from actively growing vines late in the growing season (September-December) or dormant vines. We recommend providing one sample consisting of representative portions of canes, cordon, or trunk (6-8”) from each vine. The cane material should be collected from the basal portion of the vine (i.e., older growth). If leaves are present, please provide a representative sample for symptom tracking. Research in our laboratory has shown that higher concentrations of viruses associated with leafroll and rugose wood complex diseases are found in the most mature portions of the vine. HealthCheckTM Panel PD. includes ELISA and RT-PCR forthe sensitive and accurate detection of Xylella fastidiosa We recommend submitting multiple cane and leaf (including petioles) samples representing different parts of the vine due to the erratic distribution of the bacterium. The diagnosis of Xylella fastidiosa is seasonal and best detected in petioles collected late in the summer or the fall season. Lower concentrations of virus might be detectable in samples collected from dormant canes, cordon, or trunk material. Of course grapevine growers can continue to send samples for HealthCheckTM Fungal Panel! Now is the time to submit samples for HealthCheck Panel A + RB and Pierce's DiseaseTesting! Some years ago I wrote an article and presented information on grapevine clean planting stock and the California 2010 Certification and Registration (R&C) program administered by the California Department of Food and Agriculture (CDFA). Since the adoption of the new regulations, a new foundation block was planted and progeny material is slowly becoming available to growers. The recent report of Grapevine red blotch associated virus (GRBaV) in California certified planting material has opened discussion on needed revisions of the current R&C program. The CDFA has hosted several public meetings in 2014 and 2015 to collect feedback from growers and industry representatives concerned on issues regarding the 2010 regulations. Specifically, the vineyard industry is concerned with the traceability of stock, location of increase and certified blocks, eligibility requirements, standards for suspending or cancelling certification, the detection of GRBaV in certified planting material, among other issues. As a consequence, a committee will be assigned by the California Secretary of Agriculture to work on solving these issues and developing regulations that are acceptable to the California grape industry. Please call Judit Monis (888-782-5220 or juditmonis@eurofinsus.com) to discuss your testing needs or visit our website www.eurofinsus.com/grapevine-testing for updates on grapevine diseases. Eurofins STA will present research related to the detection of Grapevine red blotch associated virus (GRBaV) at the International Grapevine Virology Congress (ICVG) to be held this year in Ankara, Turkey. The work shows that Grapevine red blotch virus is detected in all vine parts. Samples were collected from known infected and uninfected field samples throughout the year (fall, winter, spring, and summer) using material from different sections of the vine. Vine samples collected from basal and apical positions in the vine comprising green or lignified canes, codon and trunk were tested using our proprietary extraction and testing procedures. The results showed that the detection of GRBaV was equally sensitive throughout the season in all grapevine tissues tested. Furthermore, the analyses of newly grafted vines in which the scion was known to be infected yielded equivalent PCR detection signals in the scion and rootstock portions sampled. This data suggests that the virus can move from the infected scion into the rootstock in a short period of time (less than three months). Symptoms of different grapevine varieties and sampling guidelines developed in our lab for the detection of GRBaV will be presented. The ICVG meeting, held every three years to promote collaboration and interaction amongst plant pathologists who specialize in grapevine viruses, viroids, and phytoplasmas. For the past several years, Judit has written informative articles to cover the most important topics covered at the meeting and plans do the same again this time. Please call Judit Monis (888-782-5220 or juditmonis@eurofinsus.com) to discuss your testing needs or visit our website (http://www.eurofinsus.com/stalabs/products-services-grapevine-testing.html) for updates on grapevine diseases. Recording available is available for viewing the webinar on Grapevine Clean Planting Stock Program. The California Grapevine Registration and Certification (R&C) Program was revised in 2010. The 2019 regulations, include specific rules for traceability, distance of increase blocks from commercial fruit-bearing (non-registered) vineyards, and disease diagnostic with vines propagated using a tissue culture technique with the aim of eliminating harmful viruses. The webinar provides details of the “Protocol 2010” disease testing and an update on the recent discussions to include Grapevine red blotch associated virus (GRBaV) in the California R&C program and the USDA Farm Services Agency available financial relief when replanting an GRBaV infected vineyard block. Ultimately, we hope to highlight the need for growers and nurseries to develop routine testing programs to complement the current and future R&C diagnostic programs in order to avoid the potential transmission and spread of pathogens. In other words, we still recommend testing planting material for the presence of GRBaV and other known important viruses (e.g., Grapevine leafroll and Vitiviruses) that may have escaped detection in the R&C Program. Eurofins STA Laboratories offer a wide menu of services to the viticulture industry including bacterial, fungal, and viral diagnosis as well as disease elimination using meristem tissue culture. The lab holds all necessary permits to operate and process samples from quarantine areas in California, continental / USA territories, and foreign origin. Our website is a resource with articles and information on grapevine diseases- please click on the link: www.eurofinsus.com/grapevine-testing Judit Monis (Plant Health Services Division Manager) received a Ph.D. in Plant Pathology from the University of Wisconsin at Madison and has over 20 year experience working on the detection and elimination of graft transmissible pathogens in important crops. The California Grapevine Registration and Certification (R&C) Program was revised in 2010. The 2010 regulations, include specific rules for traceability, distance of increase blocks from commercial fruit-bearing (non-registered) vineyards, and disease diagnostic with vines propagated using a tissue culture technique with the aim of eliminating harmful viruses. The webinar provides details of the “Protocol 2010” disease testing and an update on the recent discussions to include Grapevine red blotch associated virus (GRBaV) in the California R&C program and the USDA Farm Services Agency available financial relief when replanting an GRBaV infected vineyard block. Ultimately, we hope to highlight the need for growers and nurseries to develop routine testing programs to complement the current and future R&C diagnostic programs in order to avoid the potential transmission and spread of pathogens. In other words, we still recommend testing planting material for the presence of GRBaV and other known important viruses (e.g., Grapevine leafroll and Vitiviruses) that may have escaped detection in the R&C Program. Eurofins STA Laboratories offers a wide menu of services to the viticulture industry including bacterial, fungal, and viral diagnosis as well as disease elimination using meristem tissue culture. The lab holds all necessary permits to operate and process samples from quarantine areas in California, continental / USA territories, and foreign origin. Our website is a resource with articles and information on grapevine diseases- please click on the link: www.eurofinsus.com/grapevine-testing Judit Monis (Plant Health Services Division Manager) received a Ph.D. in Plant Pathology from the University of Wisconsin at Madison and has over 20 year experience working on the detection and elimination of graft transmissible pathogens in important crops. The California Grapevine Registration and Certification (R&C) Program was revised in 2010. The regulations, coined as “Protocol 2010,” include specific rules for traceability, distance of increase blocks from commercial fruit-bearing (non-registered) vineyards, and disease diagnostic tests using vines propagated with a tissue culture technique with the aim of eliminating harmful viruses. The webinar will discuss details of the “Protocol 2010” disease testing and provide an update on the recent discussions to include Grapevine red blotch associated virus (GRBaV) in the California R&C program as well as the USDA Farm Services Agency available financial relief for replanting GRBaV infected vineyard blocks. Ultimately, we hope to highlight the need for growers and nurseries to develop routine testing programs to complement the current and future R&C diagnostic programs in order to avoid the potential transmission and spread of pathogens. In other words, we still recommend testing planting material for the presence of GRBaV and other known important viruses (e.g., Grapevine leafroll and Vitiviruses) that may have escaped detection in the R&C Program. By Laura A Miles, M.S. Grapevine diseases caused by fungal pathogens are a common and complex problem in grape growing regions around the world. Fungal pathogens enter the host primarily through pruning wounds , which make the plant vulnerable to single or multiple infections and, in many cases (such as, Eutypadieback and Bot canker), disease symptoms are not evident until several years post-infection. Currently, host resistance to trunk diseases has not been discovered in grapevine germplasm. Therefore, grape growers rely on vineyard disease management practices that are expensive and often ineffective unless adopted early. At Eurofins STA Laboratories, the HealthCheckTM Fungal Panel was developed to reliably isolate fungal organisms from grapevine tissue. Over the years, we have tested hundreds of grapevine samples from California. We work with growers and nursery personnel to help them understand particular vineyard health issues. This year, we are presenting our findings on diversity and frequency of fungi associated with symptomatic grapevines in California at the 2015 American Phytopathological Society (APS) Annual Meeting to be held in Pasadena, California, August 1-5. We are staffed with plant pathologists and technical personnel who are well versed in grapevine fungal, bacterial, and viral diseases. This year we have planned presentations at the American Phytopathological Society (APS) and The International Council for the Study of Grapevine Virus Diseases (ICVG) meetings featuring our work on fungal and viral pathogens. Hence, the testing done in our laboratory is based on sound scientific knowledge on the biology of the different pathogens causing disease in grapevines. If you wish to be placed in our mailing list to receive links to the upcoming webinars please contact Dr. Judit Monis (juditmonis@eurofinsus.com). Various pathogens and environmental factors are considered to be major threats to the vineyard’s health. Pathogens are disease causing organisms such as fungi, bacteria, viruses, nematodes, and insects. In addition, adverse environmental conditions such as frost, hail, heat, chemical injury, nutrient toxicity or deficiency, improper cultural practices and sanitation have an effect on vineyard health. As an example, a vineyard might be infected with pathogens without showing symptoms until adverse environment conditions compromise the plant defense mechanisms and trigger disease progression. Our lab focuses on the detection and control of pathogens that are propagated by grafting (i.e., graft transmitted pathogens). However, many fungal pathogens and Agrobacterium spp. can be dispersed (short and long distance) by wind, rain and/or irrigation splashes. For more detailed information. If you wish to be placed in our mailing list to receive invitations to the upcoming webinars please contact Dr. Judit Monis (juditmonis@eurofinsus.com). Does your testing laboratory of choice have a plant pathologist in staff? Ours has two! We are staffed with plant pathologists and technical personnel who are well versed in grapevine fungal, bacterial, and viral diseases. This year we have planned presentations at the American Phytopathological Society (APS) and The International Council for the Study of Grapevine Virus Diseases (ICVG) meetings featuring our work on fungal and viral pathogens. Hence, the testing done in our laboratory is based on sound scientific knowledge on the biology of the different pathogens causing disease in grapevines. We support our clients with information on sampling type and timing to allow the most accurate and reliable results. Our staff is available to help determine sample size based on statistics, budgets, and project needs. In addition, we have developed education webinars and articles that are available to the entire grapevine industry. Stay tuned for more detailed information for the series planned for 2015. If you wish to be placed in our mailing list to receive links to the upcoming webinars please contact Dr. Judit Monis (juditmonis@eurofinsus.com). We have developed methods and a schedule that allow the specific detection of different grapevine disease causing agents. We can detect all species and strains of Grapevine leafroll associated viruses as well as variants of red blotch, decline, and Vitiviruses thanks to the our expertise and knowledge on the biology and frequency of viral detection. Furthermore, our team members have expertise on bacterial and fungal making our laboratory the number one choice to determine the cause of a problem vineyard or to avoid planting material that is infected. Please feel free to call us with any questions related to grapevine disease diagnostics. Grapevine red blotch associated virus (GRBaV) is a newly reported virus shown to be associated with red, patchy leaves, and reduced sugar content in red fruited grape varieties. However, the virus is capable of infecting white fruited varieties without displaying red leaf symptoms. Other known viruses such as leafroll (GLRaVs) and Vitiviruses (GVA, GVB, etc.) can cause similar symptoms in grape varieties. In other words, the symptoms can be confused the vineyard. Because the biology (transmission and effects) of these viruses is diverse it is important to recognize which virus is infecting the vineyard. This webinar present the most updated information on red blotch, leafroll, and other important grapevine infecting viruses. The aim is to provide up-to-date information on our knowledge in diagnostics, transmission, and control. Spring Season Testing Grapevine Red Blotch virus can be added to HealthCheckTM Panel B! The spring and early summer are the best time to test for decline causing viruses such as Grapevine fanleaf virus (GFLV), Arabis mosaic virus (ArMV), Tobacco ringspot virus (TRSV), and Tomato ringspot virus (ToRSV). We recommend submitting multiple shoot tip and leaf samples representing different parts of the vine.Research in our lab has shown that Grapevine red blotch associated virus (GRBaV) is readily detected in the same samples allowing to test for multiple viruses in the same sample. Of course grapevine growers can continue to send samples for HealthCheckTM Fungal Panel and Panel CG year round. If planning to plant a new vineyard or grafting over an established vineyard we can help develop a testing plan. This will avoid the mistake of planting infected plant material. Our disease panels detect all strains and species of leafroll and other detrimental pathogens. This time of the year, samples for Panel B or GFLV or RB are perishable. We suggest that you keep the samples in a cooler while you are in the vineyard if it is very hot and keep them in the cooler until they shipped. If you are using a coolant, please make sure that you have enough insulation (news or other paper is OK). Also we recommend using a water based coolant (not the blue gel as these can also heat up when heated). Some people fill water bottles and place them in the freezer in advance. It is important to ship by overnight currier. Please do not ship on a Friday! Our lab has developed an exciting education seminar series for 2015 and hope you can join us. The program will be available via internet (webinars) to complement articles written throughout the year that are relevant to grape growers as well as wine makers. The next webinar will be held on May 14th and will focus on grapevine viruses of economic importance. Grapevine Red Blotch virus can be added to HealthCheckTM Panel B! The spring and early summer are the best time to test for decline causing viruses such as Grapevine fanleaf virus (GFLV), Arabis mosaic virus (ArMV), Tobacco ringspot virus (TRSV), and Tomato ringspot virus (ToRSV). We recommend submitting multiple shoot tip and leaf samples representing different parts of the vine.Research in our lab has shown that Grapevine red blotch associated virus (GRBaV) is readily detected in the same samples allowing to test for multiple viruses in the same sample. Of course grapevine growers can continue to send samples for HealthCheckTM Fungal Panel and Panel CG! Recording of educational webinar on Grapevine Trunk Diseases – now available! The first of the series was held on March 12th and focused on and update on fungal and bacterial trunk pathogens. Subsequent session will be held in May, August, and November 2015. We chose topics are of interest to vineyard managers and winemakers that are timely and relevant to grape and wine production. The focus will be on updates on Grapevine Red Blotch Disease; California Grapevine Registration and Certification (R&C) Program and nursery clean planting stock. The final webinar to be held in November will present a summary of presentations from the ICVG (International Council for the Study of Grapevine Virus Diseases) to be held in Ankara, Turkey in September 2015 including Dr. Judit Monis own laboratory work. The first of the series will be on March 12th and will focus on fungal and bacterial trunk pathogens. Subsequent session will be held in May, August, and November of this year. We chose topics are of interest to vineyard managers and winemakers that are timely and relevant to grape and wine production. The focus will be on updates on Grapevine Red Blotch Disease; California Grapevine Registration and Certification (R&C) Program and nursery clean planting stock. The final webinar to be held in November will present a summary of presentations from the ICVG (International Council for the Study of Grapevine Virus Diseases) to be held in Ankara, Turkey in September 2015 including Dr. Judit Monis own laboratory work. The first of the series will be on March 12th and will focus on fungal and bacterial trunk pathogens. Subsequent session will be held in May, August, and November of this year. We chose topics are of interest to vineyard managers and winemakers that are timely and relevant to grape and wine production. The focus will be on updates on Grapevine Red Blotch Disease; California Grapevine Registration and Certification (R&C) Program and nursery clean planting stock. The final webinar to be held in November will present a summary of presentations from the ICVG (International Council for the Study of Grapevine Virus Diseases) to be held in Ankara, Turkey in September 2015 including Dr. Judit Monis own laboratory work. Again Eurofins STA laboratory personnel will be at Unified. Please come and visit us at booth #501 to discover how Eurofins STA Laboratories can partner with you to improve your grape and vine quality. Our laboratory is staffed with expert plant pathologists specializing in grapevine diseases. We provide correct statistical planning for testing clean planting stock and help with disease management in the vineyard. Please come and see us on January 28-29th. Judit Monis and staff will be there to answer all your questions regarding grapevine diseases in the vineyard. Again Eurofins STA laboratory personnel will be at Unified. Please come and visit us at booth #501 to discover how Eurofins STA Laboratories can partner with you to improve your grape and vine quality. We are the only laboratory staffed with expert plant pathologists specializing in grapevine diseases. We provide correct statistical planning for testing clean planting stock and help with disease management in the vineyard. Please come and see us on January 28-29th. Judit Monis, Laura Miles and staff will be there to answer all your questions regarding grapevine diseases in the vineyard. A few complimentary passes to the exhibition are available (first come, first serve). Please email juditmonis@eurofinsus.com by January 16th to request a registration code. Recording for Webinar on Optimal Grapevine Sampling presented by Dr. Judit Monis is available for viewing! You are invited to hear Dr. Monis discuss different scenarios for sampling for disease detection. Choosing the correct sample for pathogen diagnostics is essential to obtaining reliable results in the laboratory. Clonal grapevine propagation, the process of making cuttings from an original vine, can severely impact the health of a vineyard. When infected mother vines are propagated, grapevine pathogens are perpetuated in the vineyard. Grapevine pathogen diagnostics requires the submission of a specific number and type of samples for testing at the laboratory. The aim of this webinar is to provide guidelines for the collection of representative samples for pathogen detection in the lab. It explores different testing scenarios, whether an infection is suspected or not, the reason for testing, and what pathogen must be detected. Again Eurofins STA laboratory personnel will be at NCWIE. Please come and visit us at booth #147 to discover how Eurofins STA Laboratories can partner with you to improve your grape and vine quality. Our laboratory is staffed with expert plant pathologists specializing in grapevine diseases. We provide sampling guidelines and planning for testing clean planting stock and help with disease management in the vineyard. Please come and see us on December 4th. Judit Monis and staff will be there to answer all your questions regarding Grapevine red blotch disease and its associated virus. Choosing the correct sample for pathogen diagnostics is essential to obtaining reliable results in the laboratory. Clonal grapevine propagation, the process of making cuttings from an original vine, can severely impact the health of a vineyard. When infected mother vines are propagated, grapevine pathogens are perpetuated in the vineyard. Grapevine pathogen diagnostics requires the submission of a specific number and type of samples for testing at the laboratory. The aim of this webinar is to provide guidelines for the collection of representative samples for pathogen detection in the lab. It explores different testing scenarios, whether an infection is suspected or not, the reason for testing, and what pathogen must be detected. In addition, Dr. Monis will be at booth 121 after her presentation to answer any questions related to vineyard health and clean planting stock. The key to trusted laboratory results is to have each method validated using many vineyard (field) samples rather than a few laboratory positive and negative controls. It is known that Grapevine leafroll associated viruses are continuously mutating (are prone to genetic changes) because RNA viruses lack the proofing mechanism available to DNA viruses. As a consequence, several strains of Grapevine leafroll associated virus-3 are known to infect vineyards in single or mixed populations. This concept is not new to the experienced plant pathologists at Eurofins STA laboratories. An article on Laboratory Methods for Grapevine Virus Testing Download was written that describes and compares different testing methods available for grapevine virus detection. Furthermore, results from a comparative study is presented in a recorded webinar by Dr. Judit Monis and is available at our website or by clicking this Link. At Eurofins STA samples are always tested with a combination of methodologies to assure confidence of results. Rest assured, our testing panels use two complementary detection techniques with broad spectrum and specific detection capabilities are able to detect all variants of leafroll viruses. The application and use of best processes, high quality material, and state of the art equipment with knowledgeable and trained personnel is the foundation for trusted results. Please call Judit Monis (1-888-782-5220 or juditmonis@eurofinsus.com) to discuss your testing needs or visit our website: http://www.stalabs.com/products-services-grapevine-testing.html for updates on grapevine diseases. Check out the newest article on sampling for the detection of viruses. The first step for good quality wine is to maintain a healthy vineyard. Choosing the correct sample for pathogen diagnostics is essential to obtaining reliable results in the laboratory. Clonal grapevine propagation, the process of making cuttings from an original vine, can severely impact the health of a vineyard. When infected mother vines are propagated, grapevine pathogens are perpetuated in the vineyard. Grapevine pathogen diagnostics requires the submission of a specific number and type of samples for testing at the laboratory. The aim of this article is to provide guidelines for the collection of representative samples for virus detection in the lab. It explores different testing scenarios, whether an infection is suspected or not, the reason for testing, and what virus must be detected. Stay tuned, we will be announcing a webinar that discuss this topic in the near future. Now is the time to submit samples for HealthCheck Panel A + RB Testing! HealthCheckTM Panel A includes ELISA and RT-PCR (two separate samples are collected and tested consecutively) for the detection of GVA, GVB, GVD, GFkV, GLRaV 1-7, and -9 (includes GLRaV-2 RG) , RSPaV, RSPaV-Sy,GSyV-1. Grapevine red blotch associated virus can be added for more complete detection. A lot of attention has been focused on Grapevine red blotch associated virus (GRBaV), the virus described in 2012 detected in vineyards in USA and Canada. Due to the similarity of foliar symptoms it is likely that GRBaV infection was confused with leafroll disease or other disorders that cause reddening in red fruited grape varieties for a long time. In spite of its name, GRBaV affects white fruited varieties too. Besides the typical foliar symptoms, GRBaV has been reported to affect sugar accumulation in grapevines reducing the brix values and delaying the harvest of fruit. However, we must not forget that leafroll disease caused by different species of Grapevine leafroll associated virus (GLRaV) remains to be as important or perhaps more important than the recently discovered GRBaV. Leafroll disease is known to negatively affect grape sugar accumulation, yield, and ultimately affects the quality and coloration of wine. Many of the leafroll associated viruses are able to spread in the vineyard with the aid of insect vectors. For example, mealybugs and soft scale insects can transmit GLRaV -1, 3, -4, and other related Ampeloviruses. Due to the dryer climatic conditions, disease symptoms in the vineyard are appearing earlier this year. Please call Judit Monis (888-782-5220 or juditmonis@eurofinsus.com) to discuss your testing needs our visit our website http://www.stalabs.com/products-services-grapevine-testing.html for updates on grapevine diseases. Pierce’s Disease is caused by the bacterium Xylella fastidiosa. The bacteria can infect many different plant species including riparian vegetation and ornamentals. Infection in grapevines causes vine decline and death. Symptoms include scorching of leaves, defoliation (often times petioles remain attached to the cane), uneven maturation of canes and wilting of fruit clusters. Symptoms can be confused with viral and fungal decline and therefore it is important to subject samples to disease testing to determine the cause of symptoms. Xylella fastidiosa is spread and transmitted by leafhoppers (glassy-winged, blue-green, and green sharpshooters). The diagnosis of Xylella fastidiosa is seasonal and best detected in petioles collected late in the summer or the fall season. Lower concentrations of virus might be detectable in samples collected from dormant canes, cordon, or trunk material. At Eurofins STA laboratories we have developed HealthCheck Panel PD for the sensitive and accurate detection of Xylella fastidiosa. We recommend submitting multiple cane and leaf (including petioles) samples representing different parts of the vine due to the erratic distribution of the bacterium. Eurofins STA will present research related to the detection of Grapevine red blotch associated virus (GRBaV) at the annual American Phytopathological Society (APS) meeting to be held this year in Minneapolis. The work performed internally by Eurofins STA scientists shows that the virus is detected in all vine parts. Samples were collected from known infected and uninfected field samples throughout the year(fall, winter, spring, and summer) using material from different sections of the vine. Vine samples collected from basal and apical positions in the vine comprising green or lignified canes, codon and trunk were tested using our proprietary extraction and testing procedures. The results showed that the detection of GRBaV was equally sensitive throughout the season in all grapevine tissues tested. Additionally, our lab has developed and implemented a sensitive assay using quantitative (Q) PCR. This recent addition fulfills our testing strategy that allows our lab to apply many different methodologies to complement each other to offer the most comprehensive and sensitive detection services. It is exciting news that there will be no submission gap for GRBaV testing as samples can be collected and submitted to our lab year round. Click here to view our presentation, Symptom Expression and Detection of Grapevine red blotch virus in Red and White-Fruited Grape Varieties. Grapevine red blotch associated virus (GRBaV) a newly described virus associated with red blotch disease found infecting vineyards in California and throughout USA, and Canada is still the virus du jour. This virus affects red and white fruited grape varieties, but most importantly vines infected with this virus appear to have lower sugar contents with a reduction of the brix values and delayed fruit maturity. Our lab developed a reliable testing method to detect GRBaV and have tested a great number of vines that are infected with the virus (click here to see our photo gallery). The sensitive test developed at our lab allows the detection of the virus associated with Grapevine red blotch disease from different vine parts. So far, the GRBaV is detected in all tissues tested: leaf blades (both mature and new), petioles, green or lignified canes, as well as cordon, and trunk tested. Our work has shown that the virus appears to be evenly distributed in the grapevine and was detected throughout the season. Therefore samples can be collected now (green tissues collected in the summer)! Please collect 4-5 canes with leaves attached (could combine up to five vines) and place in a small zip lock bag. We welcome you to visit our website to view our most recent educational webinar on Grapevine Red Blotch vs. Leafroll and learn more about these different important viral diseases. Please contact Judit Monis (888-782-5220 or juditmonis@eurofinsus.com) to discuss your testing needs or visit our website (http://www.eurofinsus.com/stalabs/products-services-grapevine-testing.html) for updates on grapevine diseases. Armillaria mellea also known as Oak root fungus has a devastating effect on vineyard health. This fungus is difficult to identify and our scientists have developed HealthCheckTM Arm that detects specifically this fungus using molecular tools. This new test complements our traditional HealthCheckTM Fungal Panel. We welcome you to visit our website to download informative articles and view our educational webinars on Grapevine Diseases(some in Spanish!). Grape diseases caused by fungal pathogens are frequently overlooked and misdiagnosed because disease symptoms are often attributed to other biotic or even abiotic factors (for example, cultural practices). This is particularly true for fungal pathogens that are implicated in the premature decline and death of grapevines. At Eurofins STA Plant Health Services, we have developed the HealthCheckTM Fungal Panel for the rapid and accurate identification of grapevine fungal pathogens. We apply traditional microbiological methods (such as culturing on isolation media) in combination with molecular techniques for the diagnosis of grapevine trunk diseases. We welcome you to visit our website to view our most recent webinar on Grapevine Trunk Diseases. In this webinar we discuss the most common plant pathogens and symptoms of vine decline and canker disease to help you recognize problems associated to fungal pathogens in your vineyard. The work performed internally by Eurofins STA scientists shows that t GRBaV is detected in all vine parts. Samples were collected from known infected and uninfected field samples throughout the year (fall, winter, spring, and summer) using material from different sections of the vine. Vine samples collected from basal and apical positions in the vine comprising green or lignified canes, codon and trunk were tested using our proprietary extraction and testing procedures. The results showed that the detection of GRBaV was equally sensitive throughout the season in all grapevine tissues tested. Additionally, our lab has developed and implemented a sensitive assay using quantitative qPCR. This recent addition fulfills our testing strategy that allows our lab to apply many different methodologies to complement each other to offer the most comprehensive and sensitive detection services. It is exciting news that there will be no submission gap for GRBaV testing as samples can be collected and submitted to our lab year round. Please call Judit Monis (888-782-5220 or juditmonis@eurofinsus.com) to discuss your testing needs or visit our website (http://www.eurofinsus.com/stalabs/products-services-grapevine-testing.html) for updates on grapevine diseases. Grapevine red blotch associated virus (GRBaV) causes red blotch disease in red but also affects white fruited grape varieties. Besides the typical foliar symptoms, GRBaV has been reported to affect sugar accumulation in grapevines reducing the brix values and delaying the harvest of fruit. Our lab has been applying a reliable testing method to detect GRBaV for many years and have tested a great number of vines that are infected with the virus. More recently we developed and validated a new method. This is a sensitive assay using quantitative (Q) PCR also known as real time PCR. This recent addition fulfills our testing strategy that allows our lab to apply many different methodologies to complement each other to offer the most comprehensive and sensitive detection services. Grapevine red blotch associated virus (GRBaV) is a newly described virus associated with red blotch disease found infecting vineyards in California and throughout USA, and Canada. In spite of its name, GRBaV affects red and white fruited grape varieties. Besides the typical foliar symptoms, GRBaV has been reported to affect sugar accumulation in grapevines reducing the brix values and delaying the harvest of fruit. Our lab developed a reliable testing method to detect GRBaV and have tested a great number of vines that are infected with the virus. The sensitive test developed at our lab allows the detection of the virus associated with Grapevine red blotch disease from different vine parts. So far, the GRBaV is detected in all tissues tested: leaf blades (both mature and new), petioles, green or lignified canes, as well as cordon, and trunk tested. Our work has shown that the virus appears to be evenly distributed in the grapevine and was detected throughout the season in spite of earlier reports. Therefore samples can be collected now (green tissues collected throughout the growing season and during dormancy)! Please feel free to call Judit Monis (888-782-5220 or juditmonis@eurofinsus.com) to discuss your testing needs! As the summer season approaches, it is a good time to scout the vineyard and look for the presence of symptoms associated with diseases in the vineyard that affects the quality of grapes and ultimately the wine. The decline causing viruses (detected with HealthCheck Panel B) are known to be specifically transmitted by nematodes. The best known representatives are Arabis mosaic (ArMV), Grapevine fanleaf (GFLV), Tobacco (TRSV) and Tomato ringspot (ToRSV) viruses that cause severe decline symptoms accompanied by leaf deformations (hence the name fanleaf). There is a high degree of specificity between the viruses and the nematode vectors able to transmit them: ArMV is transmitted by Xiphinema diversicaudatum, ToRSV and TRSV are transmitted by Xiphinema americanum, and GFLV is transmitted by the dagger nematode Xiphinema index,In an infected vineyard (even after removal) nematodes are able to transmit the viruses for many years. In France and California, studies have shown that vineyards previously infected with GFLV and populated with Xiphinema index are able to infect newly planted vines at least eight years after the vineyard was removed. Decline symptoms can also be caused by different fungi and bacteria. For example, Phaeoacremonium and Phaeomoniella,species cause young vine decline (also known as Petri disease) and Esca disease in older vines (over 10 years). Cylindrocarponspecies. (now known as Ilyonectria) causes “Black foot Disease” which is manifested by delayed shoot growth and decline. Recently, a webinar of trunk diseases was presented by Dr. Judit Monis and is available for viewing in our website. Grapevine red blotch associated virus (GRBaV) was shown to be associated with red, blotchy leaves, and reduced sugar content in red fruited grape varieties. So far it does not appear that the virus affects grape production yields. Although the molecular structure of the viruses associated with grapevine red blotch and leafroll (GLRaV) are strikingly different, the symptoms developed in the vineyard can usually be confused. In this webinar, we will compare and contrast the most updated information on red blotch and leafroll disease diagnostics, transmission, and control. Don't miss the webinar Grapevine Leafroll v. Red Blotch: Compare and Contrast on May 7th at 11:00 AM Pacific Time! Grapevine red blotch associated virus (GRBaV) was shown to be associated with red, blotchy leaves, and reduced sugar content in red fruited grape varieties. So far it does not appear that the virus affects grape production yields. Although the molecular structure of the viruses associated with grapevine red blotch and leafroll (GLRaV) are strikingly different, the symptoms developed in the vineyard can usually be confused. Due to the novel character, information on the biology and epidemiology of GRBaV is limited. In contrast, the detection, epidemiology, and control of leafroll associated viruses have been well documented. To fill this gap, our lab has on-going collaboration with academic experts working on elucidating and characterizing the genetics and biology of GRBaV. Based on the research in progress we expect that soon we will be able to make inferences on GRBaV expected epidemiology and biology. This webinar will compare and contrast the most updated information on red blotch and leafroll disease diagnostics, transmission, and control. Everyone is still talking about Grapevine red blotch associated virus (GRBaV) a newly described virus associated with red blotch disease found infecting vineyards in California and throughout USA, and Canada. In spite of its name, GRBaV affects red and white fruited grape varieties. Besides the typical foliar symptoms, GRBaV has been reported to affect sugar accumulation in grapevines reducing the brix values and delaying the harvest of fruit. Our lab developed a reliable testing method to detect GRBaV and have tested a great number of vines that are infected with the virus (click here to see our photo gallery). The sensitive test developed at our lab allows the detection of the virus associated with Grapevine red blotch disease from different vine parts. So far, the GRBaV is detected in all tissues tested: leaf blades (both mature and new), petioles, green or lignified canes, as well as cordon, and trunk tested. Our work has shown that the virus appears to be evenly distributed in the grapevine and was detected throughout the season in spite of earlier reports. Therefore samples can be collected now (green tissues collected in the spring)! Please collect 4-5 young apical shoots (could combine up to five vines) and place in a small zip lock bag. Please call Judit Monis (888-782-5220 or juditmonis@eurofinsus.com) to discuss your testing needs or visit our website (http://www.eurofinsus.com/stalabs/products-services-grapevine-testing.html) for updates on grapevine diseases. Now is the time to submit samples for HealthCheckTM Panel B (Decline causing viruses) Testing! The spring and early summer are the best time to test for decline causing viruses such as Grapevine fanleaf virus (GFLV), Arabis mosaic virus (ArMV), Tobacco ringspot virus (TRSV), and Tomato ringspot virus (ToRSV). We recommend submitting multiple shoot tip and leaf samples representing different parts of the vine.Research in our lab has shown that Grapevine red blotch associated virus is readily detected in the same samples allowing to test for multiple viruses in the same sample. Of course grapevine growers can continue to send samples for HealthCheckTM Fungal Panel! Please do not forget to use our special labels to send samples to the lab: Grapevine Disease Testing Shipping Label (289 KB). Fungal and bacterial pathogens are biologically diverse and pose a serious threat to the vineyard's overall health. Some vineyards might be infected with pathogens but show no symptoms until adverse environmental conditions compromise the plant's defense mechanisms, ultimately triggering disease progression. Proper identification of the disease-causing agents will allow the reduction of trunk disease incidence in vineyards. In this webinar, we will provide a detailed description of casual agents and document symptoms from different trunk diseases to help you recognize them and develop appropriate control strategies. In this webinar, we will provide a detailed description of causal agents and document symptoms from different trunk diseases to help you recognize them and develop appropriate control strategies. It was nice seeing you at Unified. If you missed seeing us please feel free to call. We would love to partner with you to improve your grape and vine quality. We are the only laboratory staffed with expert plant pathologists specializing in grapevine diseases. We provide correct statistical planning for testing clean planting stock and are happy to help with disease management in the vineyard. Please call us with all your questions!! Please come and see us on January 29-30th. Judit Monis and Laura Miles will be there to answer all your questions regarding Grapevine red blotch disease and its associated virus. Throughout the season we have been fielding many calls and visits regarding Grapevine red blotch associated virus(GRBaV) as it related to Grapevine Red Blotch Disease. We have verified our sampling and analyses methods work for the detection of GRBaV year round. We have a developed a program to determine the number of samples required based on specific vineyard situations. Our grapevine plant pathologists Laura Miles and Judit Monis will be at the Unified Wine and Grape Symposium on January 29-30. Please come and see in person with all your questions and we will be delighted to help! Visit the Eurofins website at www.eurofinsus.com/stalabs for more information! Marc Fuchs from Cornell University presented the latest of their research and confirmed that Grapevine red blotch associated virus causes red leaf symptoms in tissue culture plants. This is the second virus (Grapevine fanleaf was the first) for which researchers have completed Koch’s postulates. More work will be needed to determine if the virus has an effect on fruit maturation or sugar accumulation. Due to the similarity of foliar symptoms it is likely that GRBaV infection has been confused with leafroll disease and other disorders that cause reddening in red fruited grape varieties. Besides the typical foliar symptoms, GRBaV has been reported to affect sugar accumulation in grapevines reducing the brix values and delaying harvest of fruit. Grapevine red blotch associated virus is easily detected in the laboratory using molecular tools. During the past year, Eurofins STA lab has done exhaustive research and determined that GRBaV is detectable in all parts of the grapevine. Our tests were performed using different tissues (young shoots, leaf blades and petioles from mature or young leaves, flowers, canes, trunk, etc.). So far GRBaV has not shown the same seasonal variability reported for leafroll associated viruses (i.e., it is detectable throughout the year in all grapevine parts of the vine). Although, GRBaV is a DNA virus, we are able to test for this virus in combination with HealthCheckTM Panel A (detects leafroll and rugose wood diseases), HealthCheckTM Panel B (detects viruses that cause grapevine decline) and HealthCheckTM Panel PD making the testing cost effective. Please call Judit Monis (888-782-5220 or juditmonis@eurofinsus.com) to discuss your testing needs our visit our website (http://www.eurofinsus.com/stalabs/products-services-grapevine-testing.html) for updates on grapevine diseases. Did you missed seeing Dr. Judit Monis (Eurofins STA Labs, Plant Health Services expert virologist and plant pathologist) at the Napa Valley Growers Association Wine and Grape Expo? You will have another opportunity at the NCWIE in Santa Rosa on December 5. Grapevine red blotch associated virus is a newly described virus associated with grapevine Red Blotch disease found infecting vineyards in California and throughout USA and Canada. Initial concern was based on the family of virus that GRBaV belongs to, namely the Geminiviridae, which is important in tomatoes. GRBaV is different from most other known grapevine infecting viruses in that it is DNA-based, rather than RNA-based, in its genetic code. Presumably, GRBaV has been in vineyards for quite a while, but has only received attention after it was discovered during a recent search for new viruses in grapevines with a novel technique. Once discovered, it was associated with the presence of red, blotchy leaves and reduced sugar content in red fruited grape varieties. Hence, the names of the disease and the virus, Red Blotch and Grapevine red blotch associated virus, respectively. It is likely that Red Blotch disease might have been confused with other grapevine disorders that manifest similar symptoms. These disorders include infection by leafroll viruses or fungal pathogens, insect feeding damage, vine nutritional deficiencies, environmental stresses (freeze, heat, lack of or excessive moisture), soil conditions, physical damage (gophers, machine injuries), poor vineyard management, etc. Not surprisingly, our laboratory also reported that specific fungi were found in vines showing symptoms similar to Red Blotch prior to the discovery of GRBaV. In short, determining the cause for Red Blotch symptoms is still confusing. Adding to the confusion, in spite of its name, GRBaV does not always produce Red Blotch symptoms. For example, it affects white fruited varieties such as Chardonnay or Sauvignon Blanc without showing red blotch symptoms. While leaf discoloration is disconcerting, more importantly, GRBaV has been reported to affect sugar accumulation in grapevines resulting in reduced Brix values and delayed fruit maturity. Presently there is no information on the biology of GRBaV. While there are anecdotal reports that Red Blotch is spreading rapidly throughout California vineyards, there is no field data supporting this viewpoint. Within a laboratory setting it has been reported by Washington State researchers that the “Virginia Creeper” leafhopper is able to transmit the GRBaV. While this is interesting, clearly more data and research are needed to confirm transmission in the vineyard and determine if other insects are capable of spreading the GRBaV from vine to vine. As soon as GRBaV was reported at the International Grapevine Virus Congress in October 2012, Eurofins STA Laboratories developed a reliable testing method (HealthCheck Panel RB) to detect GRBaV (we are likely the first lab to offer the test to growers and nurseries). During HealthCheck Panel RB qualification period, we tested a great number of vines that were infected with the virus. We determined that our method can reliably detect GRBaV from any portion of the vine, in contrast to others reporting there are sampling limitations regarding Red Blotch detection. We are confident that GRBaV can be accurately detected in all tissues: leaf blades (both mature and new), petioles, green or lignified canes, as well as cordons and trunks. In addition, the virus is detectable throughout the different seasons. Consequently, we are able to offer HealthCheck Panel RB in combination with other popular HealthCheck Panels (A, B, or PD). You can always trust Eurofins STA Laboratories to have the most complete and reliable grapevine testing program anywhere. We offer a wide menu of services to the viticulture industry including bacterial, fungal, and viral testing as well as disease elimination using meristem tissue culture. Feel free to call our lab with questions about Red Blotch symptoms or any other general vineyard health issue. Our website is always a resource with articles and information on grapevine diseases- please click on the link: www.eurofinsus.com/stalabs/products-services-grapevine-testing.html or call us at (408) 846-9964 or toll free at (888) 782-5220. Don’t forget to come listen to Judit Monis, Ph.D., give a presentation on Grapevine Red Blotch Virus and how it affects grape quality, wine flavor and color at the NVG Wine + Grape Expo. The most practical way to avoid problems in the vineyard is to plant pathogen-free vines. However, grapevine disease-causing organisms may be already present and established in the vineyard. The presentation will provide information that will help vineyard managers, nursery personnel, and growers recognize disease and apply methods for disease management and control. An update of Grapevine red blotch virus testing and novel photo gallery with different variety symptoms will be presented. Our expert plant pathologist, Dr. Judit Monis, will be available at the presentation and at booth # 214 to answer all you grapevine disease related questions. UPDATED! Check out our Grapevine Red Blotch Photo Gallery! Eurofins STA has been testing for the presence of Grapevine red blotch associated virus (GRBaV) for over a year. We have created a photo gallery that illustrates symptoms associated with GRBaV infection in different grapevine varieties. Grapevine red blotch associated virus is a newly described virus associated with grapevine red blotch disease found infecting vineyards in California and throughout USA, and Canada. Due to the similarity of foliar symptoms it is likely that the effect of GRBaV infection was confused with leafroll disease or other disorders that cause reddening in red fruited grape varieties. In spite of its name, GRBaV affects white fruited varieties too. Besides the typical foliar symptoms, GRBaV has been reported to affect sugar accumulation in grapevines reducing the brix values and delaying the harvest of fruit. Please call Judit Monis 888-782-5220 or juditmonis@eurofinsus.com to discuss your testing needs or visit our website http://www.eurofinsus.com/stalabs/index.html for news articles and webinars related to the Red Blotch Disease. Don't Forget to Visit Eurofins STA! Join Eurofins STA at the Napa Valley Growers Wine + Grape Expo, November 14th at the Napa Exposition Fairgrounds. Division manager, Judit Monis, PhD. will give a 30-minute presentation entitled “Novel Grapevine Red Blotch Virus Photo Gallery and Vineyard Disease Control.” Dr. Monis brings more than 20 years of plant diagnostic and disease eradication experience with in-depth skills in pathogen diagnostics, tissue culture, and plant disease resistance. Visit us at booth #214 while you’re at the Expo to discuss your testing needs, or visit our website http://www.eurofinsus.com/stalabs/Red-blotch-disease.html for news articles and webinars related to the Red Blotch Disease. NEW! Check out our Grapevine Red Blotch Photo Gallery! Can you believe it’s been exactly one year since the Grapevine Red Blotch disease was reported at the International Grapevine Virus Congress? Eurofins STA Laboratories has been monitoring the Grapevine Red Blotch disease over the past 12 months and has developed a reliable testing method to detect GRBaV. Our studies indicate that the virus appears to be evenly distributed in the grapevine plant. Judit Monis, Ph.D., Division Manager of STA Plant Health Services, brings over 20 years of plant diagnostics and disease eradication experience to this study. Judit has compiled a brand new photo gallery of the Red Blotch disease outbreak, http://www.eurofinsus.com/stalabs/Red-blotch-disease.html. As the harvest season progresses, this is the best time to flag vines and map symptoms in the vineyard. Many of the symptoms in the vineyard may be similar and others are characteristic of specific disease causing agents. Recently, a lot of attention has been focused on Grapevine red blotch associated virus a newly described virus detected in vineyards in USA and Canada. However, Leafroll associated viruses and fungal pathogens can cause reddening in red fruited grape varieties as well. Of course these pathogens also affect white fruited varieties too. The effects and signs of fungal infection can be observed in the older wood of vines (especially vines trained with unilateral or bilateral cordons). The Eurofins STA HealthCheck Fungal Panel was developed to specifically survey and identify many grapevine fungal pathogens using traditional microbiological diagnostic methods with the aid of a microscope. More recently, we have developed state-of-the-art molecular techniques for the rapid and accurate identification of pathogens by sequencing a portion of the pathogen’s genome. The availability of different diagnostic approaches allows our lab to handle fungi (and other pathogens) that are difficult to identify due to their inability to produce typical spores, lack of specific morphological features, or genetic variation. Therefore our lab can identify the wide range of fungal pathogens found in grapevines. Most frequently our lab isolates and identifies the following pathogens that are associated with many important diseases in the vineyard: Botryosphaeriaceae spp. (Bot-like canker), Diatrypaceae spp. (Eutypa dieback), Phaeoacremonium Phaeomoniella,and Pleurostomophora (formerly Phialophora)spp. (young vine decline also known as Petri or Esca diseases), Phomopsis spp., and many others. In addition, many soil borne pathogens such as Armillaria spp., Cylindrocarponspp. (Black foot disease), Cylindrocladium spp., Verticillium spp., Phytophthora spp., and Fusarium spp. can be detected. Our expert team excels at handling special situations and strives to report the most accurate results. For some reason I call Grapevine red blotch associated virus (GRBaV) “the virus du jour”. Might be because of the attention focused on GRBaV, a newly described virus associated with red blotch disease found infecting vineyards in California and throughout USA, and Canada. Due to the similarity of foliar symptoms it is likely that the effect of GRBaV infection was confused with leafroll disease or other disorders that cause reddening in red fruited grape varieties. In spite of its name, GRBaV affects white fruited varieties too. Besides the typical foliar symptoms, GRBaV has been reported to affect sugar accumulation in grapevines reducing the brix values and delaying the harvest of fruit. As soon as this virus was reported at the International Grapevine Virus Congress in Davis, our lab developed a reliable testing method to detect GRBaV (we are likely the first lab to offer the test to growers and nurseries). Throughout the year we have tested a great number of vines that were infected with the virus. The sensitive test developed at our lab allows the detection of the virus associated with Grapevine red blotch disease from different vine parts. So far, the GRBaV is detected in all tissues tested: leaf blades (both mature and new), petioles, green or lignified canes, as well as cordon, and trunk tested. Our work has shown that the virus appears to be evenly distributed in the grapevine and was detected throughout the season in spite of earlier rumors that predicated low virus titer in green tissues collected in the spring. Due to the dryer climatic conditions, disease symptoms in the vineyards are appearing earlier this year. Please call Judit Monis (888-782-5220 or juditmonis@eurofinsus.com) to discuss your testing needs or visit our website (http://www.eurofinsus.com/stalabs/products-services-grapevine-testing.html) for updates on grapevine diseases. A lot of attention has been focused on Grapevine red blotch associated virus (GRBaV), a newly described virus detected in vineyards in USA and Canada. Due to the similarity of foliar symptoms it is likely that GRBaV infection was confused with leafroll disease or other disorders that cause reddening in red fruited grape varieties for a long time. In spite of its name, GRBaV affects white fruited varieties too. Besides the typical foliar symptoms, GRBaV has been reported to affect sugar accumulation in grapevines reducing the brix values and delaying the harvest of fruit. Due to the dryer climatic conditions, disease symptoms in the vineyard are appearing earlier this year. Please call Judit Monis (888-782-5220 or juditmonis@eurofinsus.com) to discuss your testing needs our visit our website (http://www.eurofinsus.com/stalabs/products-services-grapevine-testing.html) for updates on grapevine diseases. Our plant pathologist specialized in grapevine diseases, Judit Monis, just came back from the APS (American Phytopathological Society) meeting held in Austin TX. Of course the newly discovered Grapevine red blotch was a topic of discussion. If you do not know, Dr. Monis has over 25 years of experience working in plant pathology with focus on grapevine viruses, bacteria, and fungi. She had the privilege to meet personally with Drs. Marc Fuchs (Cornell University), Mysore Sudarshana (aka Sudi from USDA ARS Davis), and Deborah Golino (FPS, UC Davis) to learn more from these experts. At UC Davis, the Foundation Plant Services laboratory announced that all vines in the newly planted Russell Ranch are free of GRBaV. The same lab announced that only three out of the 1610 vines in the classic foundation tested positive for the virus. The researchers explain that the low level of infection might be due to the woody indexing test applied to screen against leafroll infection may have weeded out vines that were infected with GRBaV, Another report from UCD shows the transmission of GRBaV to healthy vines by chip budding. At the ASEV meeting in June, Marc Fuch announced the success of artificially inoculating healthy tissue culture grown grapevines with GRBaV. In addition, the work was able to show red leaves in the infected plants. The researchers have moved the plants to the greenhouse and the results seem to be still holding true. The challenge in my opinion is that plants need to grow into vines to show that the grapes (and wine) are affected by the virus. We will be on top of the subject and will update you accordingly. Over the years our clients have requested early testing of vines because the information is needed to make important vineyard management decisions (for example grafting over a vineyard). We have done comparative experiments and have determined that it is possible to test for grapevine leafroll, rugose, and red blotch associated viruses (HealthCheck Panel A + RB) in mid and late summer. Our team has strong on-going collaboration with researchers in USA as well as international labs working on management of disease transmission as well as early pathogen detection. Please call Dr. Judit Monis to learn more about specific sampling needs as this is the key to the success in reliable testing. Also check our website (http://www.eurofinsus.com/stalabs/products-services-grapevine-testing.html) for updates and recorded educational webinars. Grapevine red blotch associated virus (GRBaV), a newly described virus has been detected in vineyards in USA and Canada. Due to the similarity of foliar symptoms it is likely that GRBaV infection has been confused with leafroll disease and other disorders that cause reddening in red fruited grape varieties. Besides the typical foliar symptoms, GRBaV has been reported to affect sugar accumulation in grapevines reducing the brix values and delaying harvest of fruit. Grapevine red blotch associated virus is easily detected in the laboratory using molecular tools. During the past year, our lab has done exhaustive research and determined that GRBaV is detectable in all parts of the grapevine. Our tests were performed using different tissues (young shoots, leaf blades and petioles from mature or young leaves, canes, trunk, etc.). So far GRBaV has not shown the same seasonal variability reported for leafroll associated viruses (i.e., it is detectable throughout the year in all grapevine parts of the vine). Although, GRBaV is a DNA virus, we are able to test for this virus in combination with HealthCheckTM Panel A (detects leafroll and rugose wood diseases) as well HealthCheckTM Panel B (detects viruses that cause grapevine decline) making the testing cost effective. We have added new webinars and papers to our resource center. Due to popular demand, we have also extended the expiration of some of our webinars to allow for additional viewing. Stay in the "know" and go to http://www.eurofinsus.com/stalabs/products-services-grapevine-testing.html to view this valuable information. The most practical way to avoid problems in the vineyard is to plant pathogen-free vines. However, grapevine disease-causing organisms may be already present and established in the vineyard. This webinar will provide information that will help vineyard managers, nursery personnel, and growers understand disease and collect appropriate samples for testing. An update of Grapevine Red Blotch associated virus testing will be presented. Due to popular demand, we have extended the expiration of some of our webinars to allow for additional viewing. Stay in the "know" and go to http://www.eurofinsus.com/stalabs/products-services-grapevine-testing.html to view this valuable information. Please check our photo gallery with symptoms related to GRBaV infection in white varieties. Judit Monis from Eurofins STA Laboratories will present “The Latest on Red Blotch, Leafroll, and other Grapevine Diseases” at the 2013 WIVI on March 20th 2:00 -3:00 PM in Paso Robles. In addition to important tips on grapevine disease control, Dr. Monis will discuss a summary of results on the detection of Grapevine red blotch associated virus as they relate to symptoms in the vineyard and effect on wine production. Hope to see you in Paso Robles! The session began with a controversial presentation by French scientists suggesting that bacterial rather than fungal pathogens might be the primary cause of grapevine trunk disease. The work using both molecular and microbiological experimental methods based its premise on the observation that similar fungal diversity is equally present in healthy and diseased vines. In contrast, they observed a large diversity of species of bacterial populations between healthy and symptomatic vines. Their conclusion that bacteria, rather than fungi, cause trunk diseases goes against the well-accepted etiology (cause of disease) of many known and characterized trunk diseases such as young vine decline (aka Petri Disease), Esca, and Bot Canker in which the fungal pathogens are endophytic organisms that live and colonize a vine without causing any disease until the vine is stressed. In other words, the traditional point of view is that the same fungal populations are present in healthy and diseased vines. The article highlights presentations from the 8th International Workshop on Grapevine Trunk Disease held in Valencia, Spain. For the full article. CLICK HERE. Please call us (408-846-9964) or email (juditmonis@eurofinsus.com) to learn more about nursery and vineyard practices to avoid grapevine trunk diseases! View Our Latest Webinar & Come Visit Us at UW&GS! Come visit Eurofins STA at our upcoming event; we’d love to meet you and answer all your questions! COME MEET WITH OUR EXPERTS - EUROFINS STA EXHIBITING SOON AT TWO NEW LOCATIONS! Come visit Eurofins STA at two upcoming events; we’d love to meet you and answer all your questions! NEW RED Blotch Test Available this Fall - HealthCheck Panel RB - Read More Here! HealthCheck Panel RB is now available for the detection of the Red Blotch Associated Virus! This new test may provide a correlation between the presence of the virus and symptoms. Because of the similarity between symptoms expression, it is important to test your vineyards for the presence of fungi, leafroll and/or Viti viruses in addition to the newly discovered virus included in HealthCheck Panel RB. Visit Booth #202 Today at the NVG Viticulture Fair - Napa Valley Exposition Fairgrounds! Now in it's 22nd Year, the "Vit. Fair" continues to be the North Coast's premiere viticulture-focused trade exhibit showcasing applications, technology and products that advance the quality of our winegrapes and the sustainability of our industry. Vineyard owners and managers will find an unprecedented variety of equiptment, services, and products, along with technical seminars in English and Spanish that provide continuing education credits for PCAs, farmworkers and all winegrape growers. Please visit our booth today, booth# 202, at the NVG Viticulture Fair at Napa Valley Exposition Fairgrounds. Hope to see you soon! A group discussion at this year's International Council for Grapevine Diseases (Valencia, Spain) allowed nursery representatives, viticulture consultants and other scientists in the audience to share their experiences and opinions on protecting the health of grapevine nurseries. Read the full article, "The Impact of Fungal Trunk Pathogens in Grapevine Nurseries," to be featured in the November issue of Wine Business Monthly (WBM)...click here to download. With the clear and warm harvest weather, good yields, and the highest harvest time prices in decades, it’s not a wonder that grape growers are pleased that they chose to safeguard their vineyards with HealthCheck™ Panel A. Healthy grapes start first from healthy vines and Eurofins STA Laboratories has made helping with this our main priority. A toast of congratulations to the grape industry as it continues to harvest such a high quality crop. Please visit our website to find out more on how to keep your vineyard’s health protected. Join Us At The International Grapevine Virology Congress on October 9th! Join Dr. Judit Monis of Eurofins STA Laboratories as she presents her findings from her article, Comparative Study onTaqMan® and RT-PCR Combined with ELISA for the Detection of Grapevine Viruses. She will be explaining how the use of complementary detection methods provides the most accurate and sensitive pathogen detection. For more information please email Dr. Monis at juditmonis@eurofinsus.com. When testing for grapevine viruses that affect the quality of grapes for wine production, different methods can produce varing results. So how do you ensure that you are receiving the method that provides the most accurate and sensitive pathogen detection? Read our Comparison of Modern Laboratory Methods & Technologies article to arm yourself with the most avanced tools in vineyard disease management published in the September / October Issue of Vineyard & Winery Management Magazine. Best wishes for the upcoming Harvest Season from Eurofins STA! Now is the best time to defend your grapevines from this season’s common viruses by using HealthCheck™ Panel A Testing! HealthCheck™ Panel A includes ELISA and RT-PCR detection of GVA, GVB, GVD, GFkV, GLRaV 1-7, & -9 (includes GLRaV-2 RG) , RSPaV, RSPaV-Sy, GSyV-1. Samples can be collected either from actively growing vines during the growing season from September through December, or from dormant vines. We recommend providing one representative sample consisting of portions of canes, cordon, or trunk (6-8”) from each vine. This is important to ensure the best detection of infections and prevent the possible spread to the rest of the vineyard. The cane material should be collected from the basal portion of the vine (i.e., older growth). If leaves are present, please provide a representative sample portion of this also, for symptom tracking. INSIDE TIP: Our research has shown that higher concentrations of viruses associated with Leafroll and Rugose Wood Complex diseases are found most commonly in the mature portions of the vine. It is still very beneficial to continue monitoring your grapevines with the HealthCheck™ Fungal Panel during this time of the year! Please remember to use our Grapevine Disease Testing Shipping Label(289 KB) and include sample origin information with your sample submission. ...and arm yourself with the correct information to successfully grow & cultivate your grape plants to yield their full potential. Grapevines are prone to a long unforgiving list of viruses, infections, parasites and even fungi; so, familiarize yourself with as many diseases as you can to learn how to directly combat these issues. Visit our Picture Gallery Tab with photos of grapevine disease symptoms and start assessing the health of your vineyards. All of the resources that you need are right here. Please contact us we are happy to walk beside you as your partner in disease diagnostics. Judit Monis will present a paper entitled “Comparison of Methodologies used for the Detection of Grapevine Viruses” at the Annual American Phytopathological Society meeting to be held in Providence RI on August 5-8 2012. Do you have questions about grapevine disease testing? Have you visited our WIN photo gallery with photos of grapevine disease symptoms? All of the resources that you need for assessing the health of your vineyards are right here. Please contact us we are happy to be your partner in disease diagostics for your business. Please call us (408- 846-9964) or email (juditmonis@eurofinsus.com) to learn more about nursery and vineyard practices to avoid grapevine trunk diseases! Dr. Judit Monis of Eurofins STA is proud to provide complementary access to her library of webinars for vineyards and wineries. To view the webinar library, click here! For the past few months our lab staff has been busy performing an extensive comparative study between the recently promoted TaqMan® assay and RT- PCR which is included in our HealthCheck Panel A. Please recall that Eurofins STA HealthCheck Panel A and B tests every sample twice using two complementary methods -ELISA and RT-PCR. We tested and compared our official internal POSITIVE and NEGATIVE controls. In addition we tested many client samples that were submitted to our lab for HealthCheck Panel A and/or for HealthCheck Panel A + GFLV and/ or GFLV alone...Read More! Eurofins STA eNewsletter is Now Available! Welcome to this Issue of Eurofins STA eNewsletter! Eurofins STA eNewsletter provides information on topics related to current seed and plant health issues, the latest technological advances in analytical methods, advice on sound testing practices and interpretation, plant health and stewardship solutions, and other important information to aid you in your operational decision making. Each month, our editorial team pulls relevant information from mutliple experts within our extensive laboratory network to combine articles that address various discussions and affect a wide cross section of industry segments. To view this month's eNewsletter, go to Read Here! Many grapevine disease-causing organisms have the potential to spread and are difficult to control once established in the vineyard. The most practical way to avoid problems in the vineyard is to plant pathogen-free vines. This webinar will provide information on that will help vineyard managers and nursery personnel understand potential disease status of planting material. Ultimately this will assure that clean planting stock is used for establishing new vineyards. Please Visit the Eurofins STA Webinar Library! Eurofins is proud to offer our English and Spanish webinars free to our colleagues! These webinars detail Grapevine Disease Testing, and offer useful information to assist in making practical decisions for the future. To view our comprehensive library, click here! During the 2011 fall season, there was a growing concern about foliar symptoms observed in the vineyards. Most recently, the condition has been significant enough to earn itself a namesake, Red Blotch. The symptoms are described as red, pink, crimson orange, or purple leaves often times with patchy or blotchy coloration with green, yellow, purple, or red veins in red-fruited varieties. In some cases, the growers noticed poor vigor and quality in their vineyard blocks. Some growers started harvesting fruit from healthy (green leaves) and diseased (red leaves) vines separately and noted lower brix counts on grapes harvested from vines displaying red foliage. More conservative growers are not harvesting grapes from heavily red foliage colored vines at all. To the naked eye, Red Blotch symptoms can be confounding...Read More! The most practical way to avoid problems in the vineyard is to plant pathogen-free vines. However, grapevine disease-causing organisms may be already present and established in the vineyard. This webinar will provide information that will help vineyard managers, nursery personnel, and growers understand disease and collect appropriate samples for testing. Three different vineyard situations will be presented with emphasis on appropriate sampling to aid diagnosis. The ultimate goal is to determine the cause of the vineyard problem to avoid the spread and propagation of diseases in the vineyard. Judit Monis (Eurofins STA) Presents "Practical Approaches to Grapevine Disease Diagnosis" at this year’s “Current issues in Vineyard Health”. This is a UC Davis Extension class taught by guest instructors chosen for their involvement in developing solutions to the problems of grape pests and diseases. The goal of these lectures is to provide up-to-date management information on selected topics. .
Nov. 30: Wed., 9 a.m.-4 p.m.
Now is the time to submit samples for HealthCheckTM Panel A Testing! HealthCheckTM Panel A includes ELISA and RT-PCR for the detection of GVA, GVB, GVD, GFkV, GLRaV 1-7, and -9 (includes GLRaV-2 RG) , RSPaV, RSPaV-Sy,GSyV-1. Eurofins STA eNewsletter provides information on topics related to current seed and plant health issues, the latest technological advances in analytical methods, advice on sound testing practices and interpretation, plant health and stewardship solutions, and other important information to aid you in your operational decision making. Each month, our editorial team pulls relevant information from mutliple experts within our extensive laboratory network to combine articles that address various discussions and affect a wide cross section of industry segments...Read More! On August 1, 2011, we started entering and reporting all Plant Health Services samples in the new eLIMS (eurofins Laboratory Information Management System) database. Before this transition, we spent nearlya year testing and customizing it to suit not only our needs but our clients’ needs as well. With this transition we implemented a few changes. Our order form is now called an "Acknowledgement of Receipt or AOR", and our Certificate of Analysis is called an "Analytical Report or AR". Both are uniquely formatted and contain the pertinent information our clients need, with the added benefit of electronic delivery. The ability to send these documents electronically has significantly reduced the time between data entry and reporting. The email is handled directly out of eLIMS avoiding any potential mistakes in transmission. By taking advantage of the technology we can email an Acknowledgement of Receipt immediately after our clients’ samples are entered and Analytical Reports to our clients instantly after reporting results. No more lost faxes or illegible copies, and no more waiting for the originals in the mail! If you would like to receive these documents electronically, all we need is your email address. We can send them to one or many recipients. Give us a call or send us an email at stalabs@eurofinsus.com. We are happy to get this set up for you. Each client can have one main recipient. All additional recipients must be set up to receive copies. Currently, when an AOR or AR is emailed to a client, eLIMS will first email it to the main recipient. We would also like to announce the availability of Eurofins Online Reporting (EOL). With EOL, our clients are able to create and maintain their own user accounts, which will allow them to see the status of their samples as well as Analytical Reports for results on completed samples. Our clients can also view the history of their samples. For more information, please visit the EOL main web page or sign up today! We hope our clients are as happy with our new database as we are and hope they will continue to provide feedback as we move forward. Feedback is very important to us and we will take each and every comment into consideration for continued improvement. Now is the time to submit samples for HealthCheckTM Panel PD (Xylella fastidiosa) Testing! Research has shown that it is best to test for Xylella fastidiosa in the summer season through dormancy. We recommend submitting multiple cane and leaf (including petioles) samples representing different parts of the vine due to the erratic distribution of X. fastidiosa. Of course grapevine growers can continue to send samples for HealthCheckTM Fungal Panel! Eurofins STA eNewsletter is Now Available! Current Issue Includes Grapevine Testing Methodologies! To view this month's eNewsletter, go to read here. To start receiving this monthly information source, subscribe here. To read past articles, view our archive here. At this year's American Society of Enology and Viticulture National Conference, Eurofins STA will have an industry seminar supplier display available on Thursday, June 23rd, during the show. Please come by the display to meet with Dr.Judit Monis regarding plant disease and prevention / detection strategies. Dr. Judit Monis of Eurofins STA Laboratories will be presenting a poster discussing the "Frequency of Detection and Distribution of Clostero and Vitiviruses in Grapevines" at the Grapevine Leafroll and Vitivirus Diseases Seminar – A Continued and Increasing Problem for Vineyards on Friday, June 24th. This session will provide information that will help vineyard managers and growers understand disease development as well as the analytical tools that can be used for detection. Poster Presentation: Frequency of Detection and Distribution of Clostero and Vitiviruses in Grapevines- Presented by Judit Monis, Ph.D.
Register today at http://asev.org/national-conference-2011/. We look forward to seeing you there! Eurofins STA Webinars on Vineyard Disease Control are Now Available! To access these webinars and other articles in this subject area, please feel free to visit our knowledge center at http://www.eurofinsus.com/stalabs/products-services-grapevine-testing.html. March 2011 Eurofins STA eNewsletter is Now Available! The most practical way to avoid problems in the vineyard is to plant pathogen-free vines. However, grapevine disease-causing organisms may be already present and established in the vineyard. This seminar will provide information that will help vineyard managers and growers understand disease development as well as the analytical tools that can be used for detection. The ultimate goal is to provide information on testing strategies to control the spread and propagation of diseases in the vineyard. Recent Advances in Grapevine Virus Detection - by Judit Monis, Ph.D.
Register today at http://www.vinesymposium.com/agenda.htm. We look forward to seeing you there! Scientist Hanane Stanghelline, Ph.D HananeStanghelline@eurofinsUS. Early detection helps growers avoid costly plantings and spread of disease to new vineyards. Eurofins BDI Plant HealthCheckTM panels offer state-of the-art testing for major grapevine pathogens using ELISA (when available), PCR, RT-PCR and/or Immunocapture-PCR. Customized individual or panel tests of any pathogens below are available upon request. HealthCheckTM disease testing services are grouped into panels of pathogens based on sampling/testing requirements. For grapevine growers, a positive test result can open a Pandora's Box. We offer custom disease eradication services that use modern technology to completely eliminate diseases from stock plant material. By detecting pathogens at the earliest phases, we help you mitigate losses by stopping diseases that can continue to spread and destroy existing plant stock. We also provide tissue culture propagation of grapevine stock to grow healthy and vigorous plantings. For your benefit, all Eurofins BDI client materials, diagnostic results and reports are handled in full confidentiality. Grapevines are expected to live over 80 years so it makes good business sense to pay close attention to the organization of your grapevine mother blocks and certify your planting material is free of known and detectable pathogens. We offer seasonal vineyard surveys that combine state-of-the-art testing with on-site consulting from our leading expert pathologists. Working closely with you in the field, we discuss your specific testing needs, recommend sampling strategies to more accurately detect the presence of pathogens in spite of low concentration or erratic distribution in the vine, and provide field or nursery operation inspections to assess grapevine health. Comprehensive inspection of vineyard. Looks specifically for vine decline symptoms associated with virus infection (viruses included in HealthCheckTM Panel B). The half-day visit includes training of professional and field personnel to look for specific symptoms and collection of samples for virus and other pathogen testing. Comprehensive vineyard inspection. Looks specifically for Pierces Disease symptoms. The three-hour visit includes training of professional and field personnel for collection of pathogen testing. Comprehensive full-day or half-day visit. Looks specifically for symptoms associated with virus infection (viruses included in HealthCheckTM Panel A). The visit includes inspection of vines, training of professional and field personnel to look for specific symptoms and collection of samples for virus and other pathogen testing. Vines will be marked for future sampling/testing. Training of personnel to collect samples for testing viruses in HealthCheckTM Panel A. A methodology is applied to assure that a representative number of samples are collected from vines used to generate grapevine cuttings. A system for tracking mother-daughter plants will be applied to correlate sample data with each batch of grapevine cuttings. Eurofins BDI Plant Health Services provides state-of-the-art testing for the diagnostics and detection of major grapevine pathogens. Different methods including microbiological culture, ELISA, PCR, RT-PCR and/or Immunocapture RT-PCR are used for specific diagnostics. We have grouped the pathogens into different panels (A, B, CG, PD, Fungal) based on sampling/testing requirements. Research has shown that there is seasonal variation in the concentration of grapevine pathogens. Furthermore the distribution of pathogens follows a pattern and certain pathogens can be found in higher concentrations in different parts of the plant. Our laboratory has developed sampling methods that takes into consideration the seasonal variation and pathogen location to optimize the detection of harmful pathogens. To assure accuracy of results, when multiple diagnostic methods are available, submitted samples will be tested by at least two independent methods. Eurofins BDI Plant Health Services offers custom disease diagnostics, please contact Raquel Salati, Ph.D. at raquelsalati@eurofinsUS.com or (408) 846-9964 for specific sampling instructions.